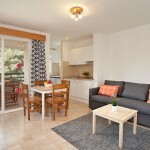 Fantastic one bedroom apartment with pool, located at a few minutes walk from the best beach on Mallorca. 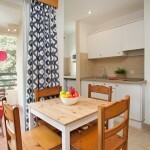 Pinaret D is situated on the second floor sleeps up to 4 people. 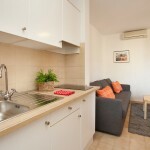 The apartment has one twin bedroom with a good sized built in wardrobe with safe. 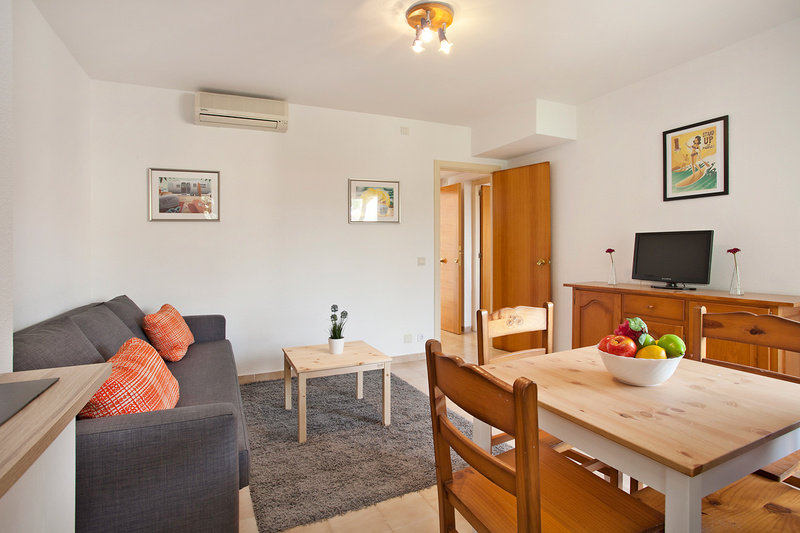 The lounge dining area contains a comfortable sofa bed, flat screen TV with and a dining room table with 4 chairs. 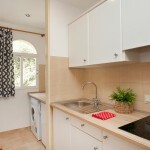 The kitchen area contains a 2 ring hob, fridge, microwave and washing machine. 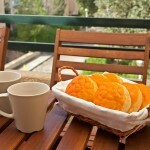 The balcony faces West / south West and has sun during the afternoon. WiFi provided around the pool area although connection can be made from some of the balconies and terraces of the apartments. 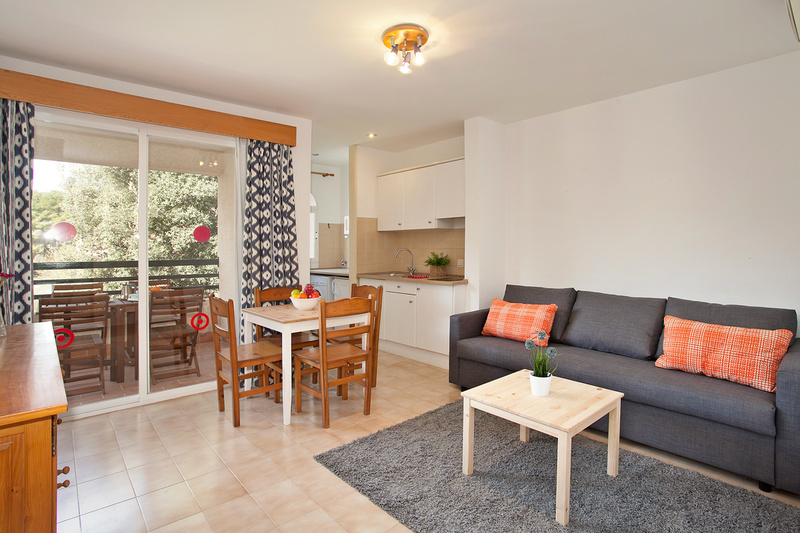 These lovely, well equipped air conditioned apartments are situated in one of the most sought after areas of Puerto Pollensa. 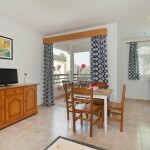 Pinaret is extremely quiet yet just a couple of minutes walk to the town’s best beach which has great facilities including a full range of water sports. 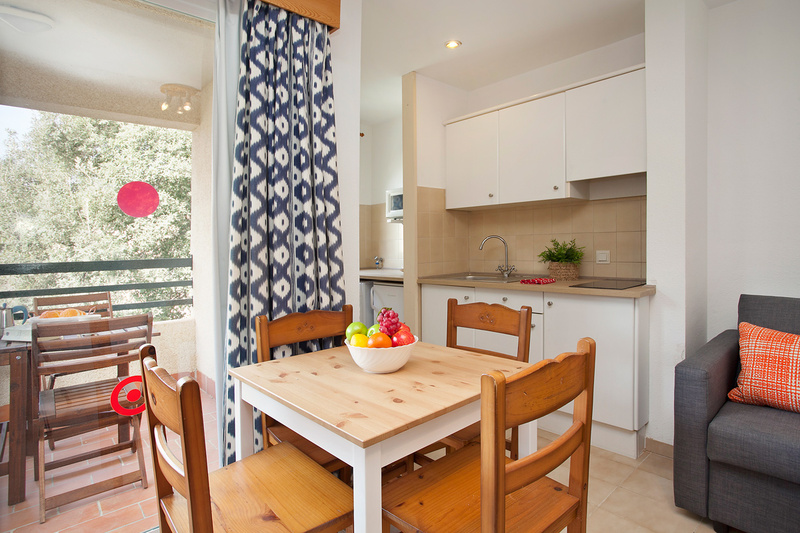 Pinaret D is situated on the second floor sleeps up to 4 people. 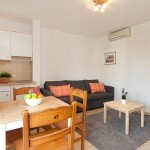 The apartment has one twin bedroom with a good sized built in wardrobe with safe. 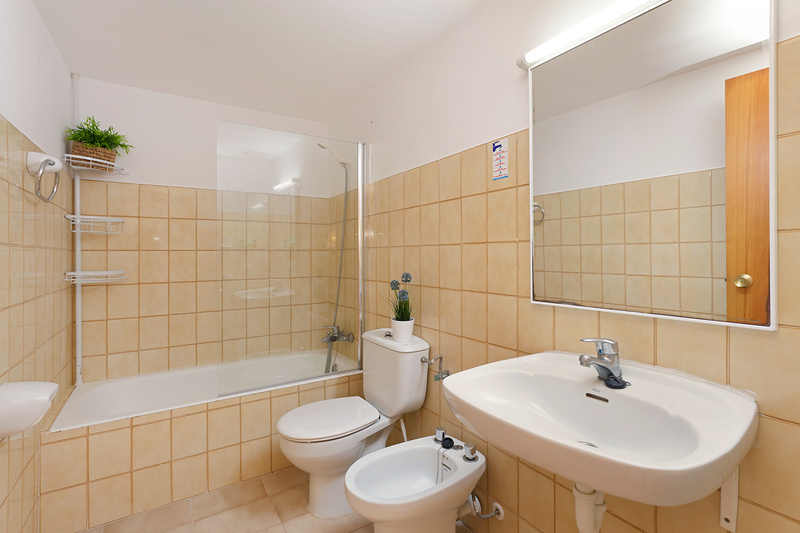 The bathroom also of good size contains bath with shower overhead, hand basin and low level wc and bidet. The lounge dining area contains a comfortable sofa bed, flat screen TV with free to air UK channels, dining room table with 4 chairs. 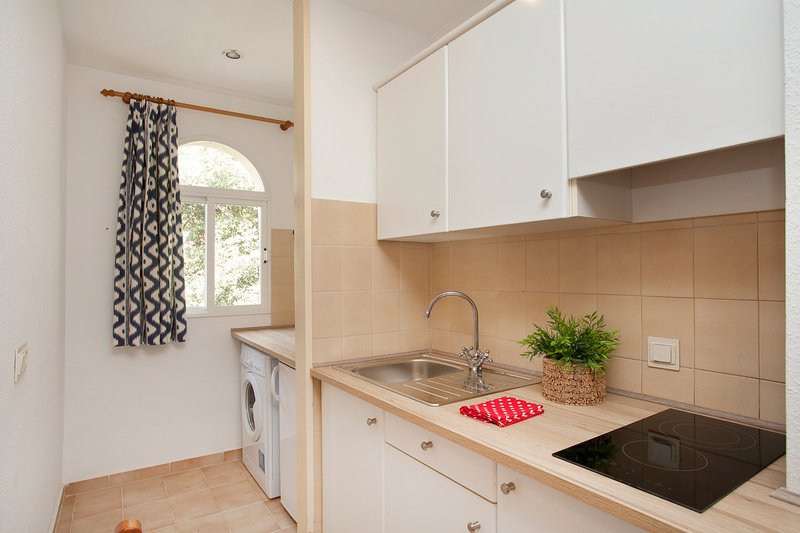 The kitchen area contains a 2 ring hob, fridge, microwave and washing machine. 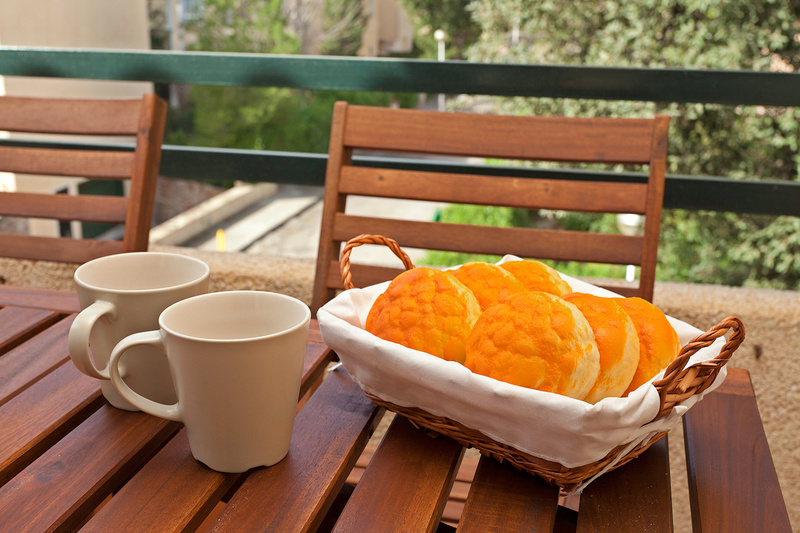 The balcony faces West / south West and has sun during the afternoon. The apartments are located on a quiet street just a few rows back from the front line. 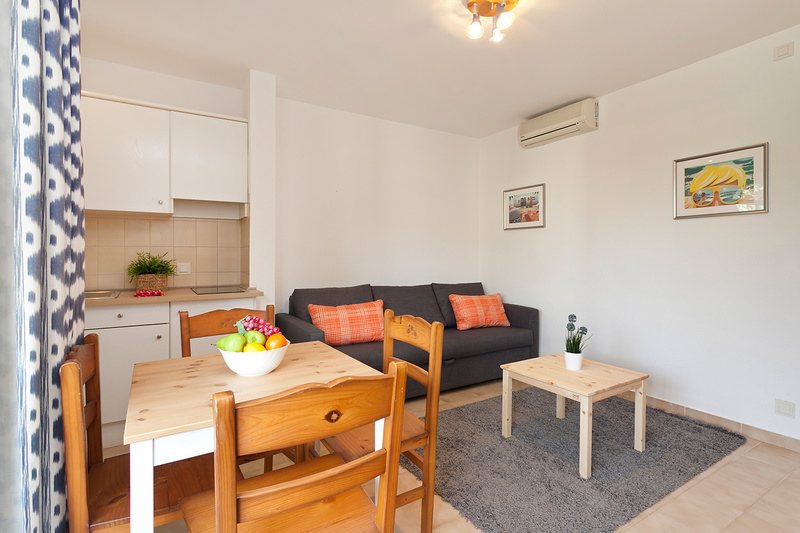 Choice of first, second or ground floor apartments consist of a lounge dining area with comfortable sofa bed, TV, DVD and CD, leading directly to a balcony which includes table & seating for 4 people. 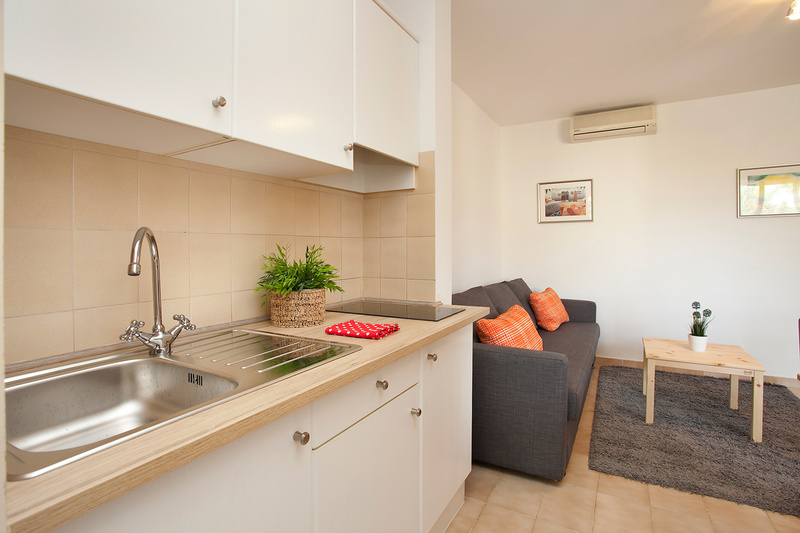 The apartments on the ground floor have similar facilities plus a small private garden. 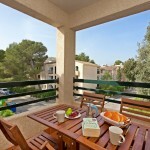 The shared private pool also has a small baby pool alongside plus plenty of sun loungers provided. 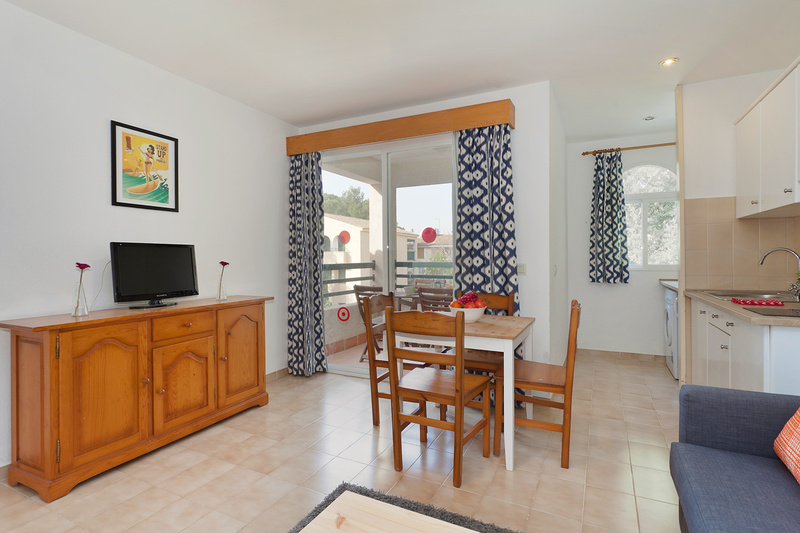 The town centre, Marina and Pine walk are a short stroll away, as are cafes, bars, shops, restaurants and of course Pollensa’s fantastic beaches. 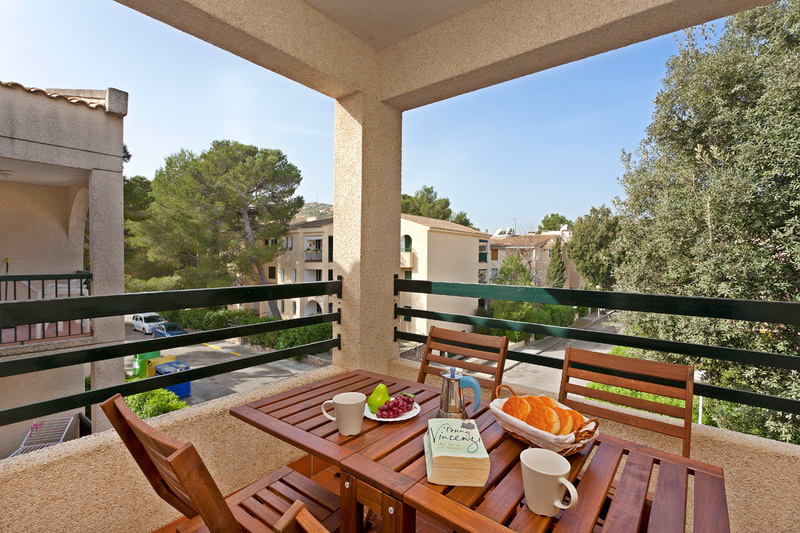 The apartment block is well maintained and until recently was owned by a major hotel group in Mallorca which owns many of the leading hotels in this area including the famous Illa d’or.